Check out the incredible list of agile blogs that they aggregate! If anyone else know of other great lists like this please let me know. I love to create lists of lists! For more information please see our online newsletter posting. Great little article with four retrospective antipatterns. Care of Esther Derby. Thanks! One of our partner organizations, HBI Leadership, has launched a blog called SustainabilityCulture.com. Check it out! Interesting: The Business Value Game. If you have tried it out with clients or with a team, please let us know in the comments! I’m going to Edmonton to do a presentation on the Value of Retrospectives for the Agile Edmonton user Group. Should be a lot of fun! I’ve done many CSM classes in Edmonton (and Calgary). If you are going to be in Edmonton on April 1st, consider coming out to the meeting! See you there! – Mishkin. Scrum Gathering – Orlando Florida – PMP? ScrumMaster? PLEASE NOTE: This stream of notes does not reflect everything said in this session which was very discussion-heavy. 50k+ registered agilists – what about the unregistered? How to mature the certifications – team members, etc. PMI is responding to this because it has to. Richmond chapter signed a collaborative agreement with the APLN, this is happening in other places as well. People asking lots of questions. IT Telecomm PMI Chapter playing a large role in building bridges. PMI Global Congress in 2008 had 5 agile presentations that were all very popular. Study under a master the “one true way”. Then try many variations. Then understand the principles and “the Way”. Tension for agilists – transition. Project/Product/Program manager vs. ScrumMaster and Product Owner – no set definitions. How do we move people between PM and Agile? Fundamentalism in Scrum – wrongness of not doing agile. Not adapting Scrum to reality. Agile is about truth-telling – different flavors of agile do this a little differently. The Project manager often has multiple roles – this hides the truth. The truth is necessary to successful projects. Scrum focuses around an objective – e.g. making money. Would it help if the PMBoK had explicity added an agile component? PMI like IBM – when the IBM launched a PC, then it was okay for the corporate environment to use PCs. Differences b/w PMBoK and Scrum are more about who, how and why, but not so much about what. In most organizations, there is a customized “one way” and it is this that is difficult to change, not so much the PMBoK. Some fundamentalism in Scrum: if you aren’t doing it right, then you are hiding dysfunction – not because Scrum is the one true way to do delivery, but because it is a way to do learning. How do we save the world? Top down? Grassroots? Viral? Not forced! Building on success! Not enough of us! Lots of cultural inertia, crossing the chasm. Not transforming people despite themselves. You can’t transform someone else! False dichotomy b/w execution and transformation. Learning vs. dysfunction. Example of Toyota making 1000s of improvements every day. PMI is about advancing the profession of the project managers. Therefore it is incumbent on the PMI to bring Scrum in because it works!!! Agile Beyond Software Yahoo Group Created – Please Join! This is a group for people who are interested in sharing stories, experiences, practices, and questions about applying agile beyond software. This could be in management, marketing, engineering, small business, personal life, community groups, or any other areas where you think it might be worth trying!!! Please join this group if you are interested in exploring this topic. As well, if you know people who are doing this, please consider inviting them to join as well! This afternoon I took the Beta version of the knowledge exam for the Certified ScrumMaster credential. I’m not allowed to provide any details on the questions, but I will provide my impressions. I’ll start with a story. About six years ago, near the end of my career as a technical contributor, the company I was working for, Solution Architects (who still have my profile on their “people” page), decided that I should become a Microsoft Certified Application Developer. At the time, I was doing .NET development and I had a long background in Java and Objective-C development. The approach we decided on was for me to go to a “Boot Camp” where I would be immersed in all things .NET and after nine days of solid training, write the Microsoft exam. I arrived at the Boot Camp (which was very much a outdoorsy camp environment) quite excited. I got a room for myself, and it looked like I would be treated very well. One the first day of classes, the instructor gave us some strong advice: come to class, and then in all your spare time, do the practice exams and study them hard. I was a bit baffled by this. We were also given the huge Microsoft Press books to study for the exam (I kept them for a few years, but recently got rid of them). My first night I studied the books and my notes from class. To be frank, the instructor spent most of the time going over exactly what was in the books and giving us all a little time on computers to do the “exercises” in the books. Instruction was really limited to rote recital of the book content. Any time someone would ask a question that was in any way deep, the instructor would simply redirect with another reminder to study the practice exams. The second night I decided I would try the practice exam since the first of three real exams was in the afternoon of the third day. It was fairly simple multiple choice test questions. I went through all the questions, made sure I found the answers for ones I didn’t know in the books or in my notes, and then after I had done a once-through, I did a quick second pass. And then, the next day, I took the real exam. I was utterly, completely shocked. The real exam was exactly like the sample exam. The only difference was that the word problems change the names of the fictional people and companies used in the problems. The structure of the questions was identical. The answers – including the ordering of the multiple choice answers – were exactly the same. And of course, it was a breeze. Anyone could have passed. In fact, it was completely unnecessary to attend the classroom training part. I was extremely dis-illusioned. Why do I mention this experience with a certification exam? Simple: it has made me extremely sceptical of exams. They simply cannot measure any level of competency. They simple measure people’s ability to pass exams. And since there are many fair and unfair ways to do that, exams are not relevent. Now I will say that I have changed my mind just a wee bit about this… but that’s a topic for a completely different blog post. So, when I heard that the Scrum Alliance was going to add an exam to the CSM certification, I felt that it was a waste of time, and probably would encourage all sorts of bad behaviors. I still think that. Okay. A few facts about the exam. It was administered in a room in the convention center here in Orlando. There was a registration desk and when you sign in you are given a password. You then go to a workstation which has Internet Explorer running pointed at the exam site. The exam has bookends: at the start an experience self-assessment that is used to help interpret the exam results, and at the end a satisfaction survey. Throughout the course of the exam, you are able to comment on the questions. These bookends and the feedback along the way are a great way to help improve the exam and I really like that. As I mentioned, I am not allowed to discuss the details of the questions. I will make some general comments about the questions. Some questions are about Agile, some are about Scrum principles and some are about Scrum practices. Some are fairly standard fact-based kinds of question like: what are the roles in Scrum, while others are more scenario-based question like: you are the ScrumMaster and X-bad-behavior is happening… what do you do? There were 99 questions in total and I was told that it would take approximately one hour to go through the questions. Now, just so you know, I normally do _really_ _really_ well on multiple choice exams, and I normally complete them extremely quickly. I read fast, and my mind seems to be able to eliminate incorrect options almost subconsciously. So, for this exam, I completed it in 35 minutes including the time it took me to comment on about a third of the questions. If I hadn’t been commenting as I went, I estimate it would have taken me about 20 minutes. Well, I got 84%. Not bad. The summary page of the exam said this was a “mastery” level. I should explain why I didn’t score higher (after all, Certified Scrum Trainer (TM) Mishkin Berteig should be able to do 100%!!!). I decided before I even started, that I would answer the questions as if I was a “perfect” student of my own training. In other words, I would deliberately get things wrong if I taught them differently than the “right way” that the question implied. As well, if I didn’t cover a topic in my training, I would do a best guess putting myself in the shoes of someone who had attended my class. There were two broad topic areas that I don’t teach about that showed up: Product Vision and Release Planning. As well, there were a few topics that I teach slightly differently: Scrum Team membership, burndown charts, and Sprint Planning/Sprint Backlog Tasks. Apparently, despite these differences, a student of my class would do pretty well on the exam. When I first became a Certified Scrum Trainer (no TM, this was before the existance of the Scrum Alliance), Ken Schwaber had a clear policy that as a trainer I was encouraged to integrate into my training materials and approach things that I had discovered through actual practice about Scrum. I loved this. It meant that Scrum was not a Canonized Body of Knowledge, but rather a living framework for doing excellent work. When we put in place an exam like this, it changes the nature of Scrum. Is this good or bad? I think it has aspects of both. The clear down side is that it will have the tendency of freezing Scrum which might make it less relevent. Another problem is more personal: as a trainer, there will be clear pressure for me to teach to the exam. If a student of mine goes and does the exam, and fails because (in part) I have taught things differently than what is on the exam, then does that mean this person can blame me? Sure! Why not?! So then I am faced with a problem: do I teach what I know works or do I teach what I know will be tested? There is a simple way to avoid this second problem and in fact to mitigate the first problem at the same time: the exam should be taken before taking the CSM course. The exam is clearly based on the reading materials: Agile Software Development with Scrum and Agile Project Management with Scrum. Then, if people don’t pass the exam, they can blame only themselves for not studying these excellent books deeply enough. And, it will simplify training since as trainers we will know that people coming into the class are already _knowledgeable_ about Scrum. We can then teach our variations, see the dynamic of people in the class, and offer Certification based on that. This solves the trainer’s dilema easily and obviously. What is not so obvious is that it also helps prevent Scrum from ossifying. The Certification becomes based on living interaction with an experienced Scrum trainer rather than an exam. The long term effect of this is that people will place less importance on the exam (rightly) and more importance on making a good showing in the course (rightly) and then we have a relationship-based Certification. Since it is based on a relationship, it can live more easily as an organically changing framework rather than a defined (simple) methodology. After all: Individuals and Interations are valued over Processes and Tools (Agile Manifesto). All the Open Space sessions will be recorded and posted to a web site… to be determined, but I will add the links once they are ready. I arrived late for this one and only caught the final 20 minutes. It seemed like it was a good discussion. One person was interested in using Scrum for doing process documentation. Another person was interested in Scrum for software maintenance. Of course, I talked about what we are doing with our business using OpenAgile. Great discussion! Main concepts seemed to be: Scrum is fuzzy, it is not well-defined, and can we find an abstraction of Scrum that then is applied to many different situations. The discussion included many specific examples: is the Product Owner on or off the team, is the Product Owner always 1-to-1 with teams, is the Product Owner always a single person, is the sprint burndown done on the basis of hours or points, is the daily Scrum necessary, is the retrospective necessary (yes), is release planning necessary? Vigorous discussion – a little unfocused, but really really interesting. People making claims and counter-claims about Scrum and PMI (actually PMBoK). Some interesting distinctions: Scrum as a framework that allows imperfection and encourages improvement vs. PMBoK as a framework that tries to give all the tools (best practices, processes) to avoid mistakes and do things “right”. I enjoyed this discussion a lot!!! The first day of the Scrum Gathering in Orlando is finished. I had a great day all-in-all. I went to 3 and a half sessions, took a nice sun break in the afternoon, and then mingled at the evening reception. This was interesting. When I actually spent time talking with people I heard several times that people were using agile approaches in non-software environments. One person is working with an oil company to apply agile methods to all project work. Another two people are extending agile / Scrum into marketing departments. And one other person was applying agile into the whole organization. Of course, with OpenAgile, I’m very interested in all this. I’m hoping that I can organize some sort of group / institute / organization for people using agile methods outside of software development. If you’re interested, please contact me on LinkedIn or Facebook or any other method you wish. People seemed to be in general agreement that this is still new stuff, and that they are having to make adaptations to make agile work in these other environments. After all, not all work is purely creative or problem-solving! Gregory Balestrero gave a talk about the relationship between the PMI and the Scrum Alliance. I felt that his talk was much more 30000 foot level and that it probably wasn’t quite right for the audience. The questions people asked at the end seemed much more appropriate for someone who was an author of the PMBoK rather than the CEO of the PMI. There was a mis-match between presenter and audience. At any rate, Gregory spoke quite a bit about the economy and the fears people have about it. He emphasized that this time actually represents a real opportunity for organizations to get better at doing projects by focusing on value. I couldn’t agree more! As well, in my discussions with several other individuals who are coaches or run agile coaching businesses, I heard quite frequently that the past few months have been hard on business here in the United States. One company has actually laid off some coaches. This is in line with our experience at Berteig Consulting… up to a point. December and January were slow, and in fact slower than “normal”, but we still did very well in the Dec. to Feb. quarter. Clearly the Canadian market is still moving well, and there is a recognition that agile and Scrum are a means to help organizations get through these tough times. One a related note, the resort we are staying in and in which the conference is being held is the Gaylord Palms. Apparently, bookings are way down at the hotel to the point where they have temporarily closed some of the restaurants in the resort. Likewise, when my family went to a water park during the day today, some of the rides were closed because there were so few people. Please remember: this is Spring Break!!! Clearly tourism is _way_ down. I’ve met up with (in no particular order): Tobias Mayer, Alistair Cockburn, Catherine Louis (from Nortel), Sanjiv Augustine, Mike Vizdos, Carole Marks, Mitch Lacey, Jim Cundiff, Gabby Benefield, and probably others that I can’t remember. I also met for the first time several people. I hope I can keep in touch with everyone! Mike Cohn gave a presentation on Leading Self-Organizing Teams. It was fantastic. My favorite part of it was his introducing the CDE (Containers, Differences and transforming Exchanges) model. In this model, self-organization is positively influenced by appropriate constraints on the containers, differences and transforming exchanges among the people who are asked to self-organize. To explain: containers define in-ness vs. out-ness for participation, scope of work, environment of the group that is self-organizing. Differences are the variations in the skills, qualities, attitudes, knowledge etc. of group members. And transforming exchanges are the interactions between group members both amongst each other and with outside groups, where such interactions cause a transformation of some sort: creation of value, sharing of knowledge, new activities, etc. By using the CDE model, we can diagnose challenges facing an agile team. Mike Cohn included a number of scenarios for us to use to practice the application of this model. Hopefully Day 2, which is primarily and Open Space event, will be even more interesting that Day 1. I will continue to post frequent articles about the events of the day! Please feel free to ask for more details in the comments… or to suggest that I connect with someone, or to bring up a topic for the Open Space portion. PLEASE NOTE: these are my own notes based on the presentation – any errors or omissions are my own. – – does this mean we are not adults? TOPIC: Teach “ask the team” by actually asking the team (in the class). PLEASE NOTE: this article is based on my own notes from the talk given by Gregory Balestrero. Any errors or omissions are my own. Note: Tobias Mayer has written a nice analysis of this talk. – leaders and everyone else! Sound here is difficult: it’s muddy, and it’s not compressed enough. I’m having a hard time hearing Gregory speak. 1) Problems with economy – unable to react to changes in demand. This is more about Product management, not Project management. how can we help Product managers do a better job? – integration of Product and Project management is important. Change in demand – telecomm moving towards a six-month lifecycle. E.g. one org going from 8-9 month lifecycle to halve that. Project mgmt. can help with this. 2) Greg Smith with Thoughtworks. Open to collaboration between PMI and ScrumAlliance. Could you encourage PMP’s to seek CSM certifications? – as far as encouraging… figure out the fit – does it make sense to use a particular approach? Will PMPs or CSM’s be automatically be accepted? 3) From State Farm, CSM and PMP. Research that PMI is conducting? Independently or partnering with ScrumAlliance in risk management or quality management. EDITOR’S NOTE: Gregory seems to be too high up to address many of the questions satisfactorily. I wish someone would ask a question about the organization of the PMI, rather than the details of Scrum or PMBoK. 4) Mark from Renewtech. Questions about labelling – “project manager” vs. “agile project manager”. – “Agile Project Manager” – nice branding but what does it mean? 5) Product Owner, previously PM with PMP. PM responsibilities divided between PO and SM. 6) Can agile/scrum events be used as Continuing education units? Ken Schwaber asked for show of hands for PMPs in the audience. I’d guess about 1/5 to 1/4 raised their hands. Honestly, I think this guy probably has a lot of valuable stuff to contribute. Most executives do. But I think that this audience did not see the opportunity. Something wrong with starting late at a Scrum Gathering! What is a Self Organizing Team? – – sounds like a software project! – – Jimmy Buffet concert – queueing, at the bar, at the beach etc. – was command and control leader before scrum! – how can we use these to influence the way the team behaves? Mike Cohn is really good at creating discussion exercises. I’ve always been impressed. The discussion excercise asked us to apply the CDE model to the various scenarios. In our group we only looked at two out of the five scenarios. Each time the discussion was great – lots of good ideas from people about how to solve the problem in the scenario. What wasn’t so good at first was using the CDE model. It’s easy to just look at the scenario and come up with solutions. What isn’t so easy is to use the model to generate solutions or to map solutions into the model. At a personal level, I also found that folks in my group were emphasizing imposing solutions rather than using the Scrum model to have solutions emerge from the team’s own efforts. For example, the retrospective is a Scrum practice that really should be the first line of defense. – e.g “Up or Out” culture – burn out or be promoted! – – as part of this, replaced two-ply with one-ply toilet paper to remind everyone of the need to save costs! – – “our GM counts the cars in the lot every day at 5pm” – not a good culture for Scrum! – should a delivery team be allowed full control over who is on the team? – under all circumstances or only some? which? – what are the advantages and disadvantages? – “you can self-organize unless I disagree” is not a good message! What are the variations of Scrum that are legitimate? Where is the dividing line on Sprint length? 2 weeks? 4 weeks? 6 weeks? 6 months? But 6 weeks vs. 6 weeks + 1 day? what about teams that have both a ScrumMaster and a Project Manager? Were any Scrum practices perceived as not being feasible? Did any Scrum practices not work well when tried? Can we measure this in any meaningful sense? Did it increase market share? Etc.? What is the definition of a successful project? System, culture and environment play a huge part! 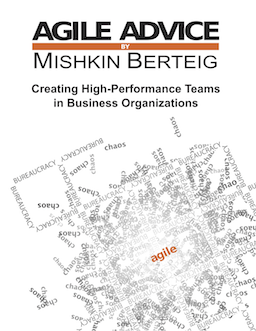 pilot the agile practices and see how they work? Use agile methods on my projects (because I like it)? Adopt agile methods in a particular domain – where appropriate? – used a Scrum-like approach for the development of CMM! Adopt agile methods for the organization? what class of projects would agile methods be applicable? Does the project have a “product vision” that characterizes success? How does the project measure success? Where does Scrum/agile fit in terms of business drivers? hoping to chat with people here at the conference! haven’t seen much evidence that research changes anything – is spending this money worth it? We don’t use empirical research very much! Starting with a theory of Scrum to test? If so, what is it? Would you use the Scrum approach for the research itself? Collaborative approach with the Scrum Alliance, Ken Schwaber, Jeff Sutherland, etc.